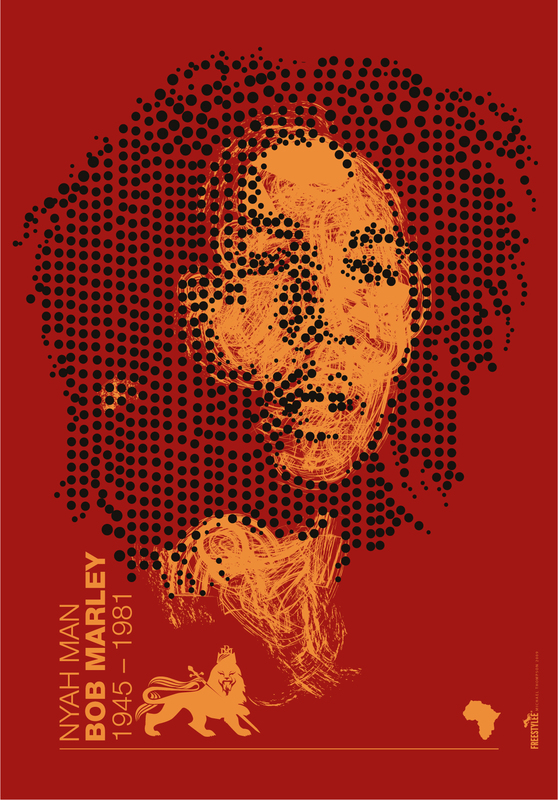 Michael Thompson, aka Freestylee, studied graphic design at the Jamaica School of Art in Kingston, Jamaica, now the renowned Edna Manley College of the Visual and Performing Arts. 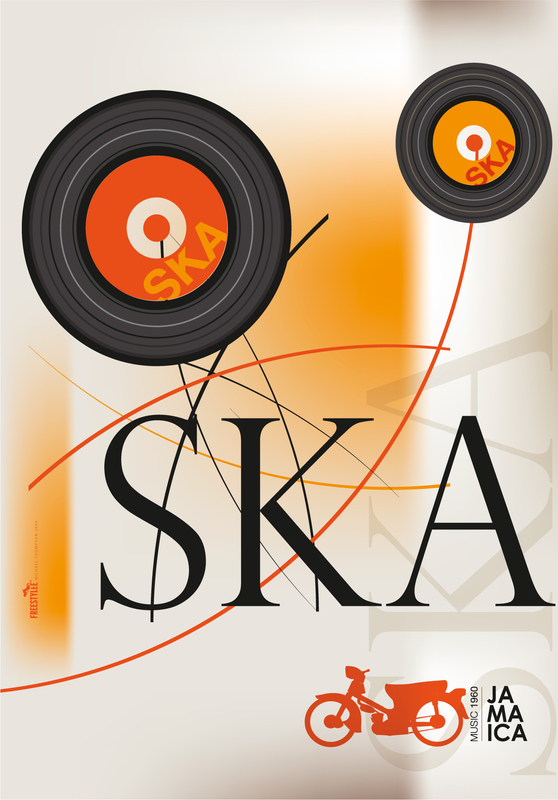 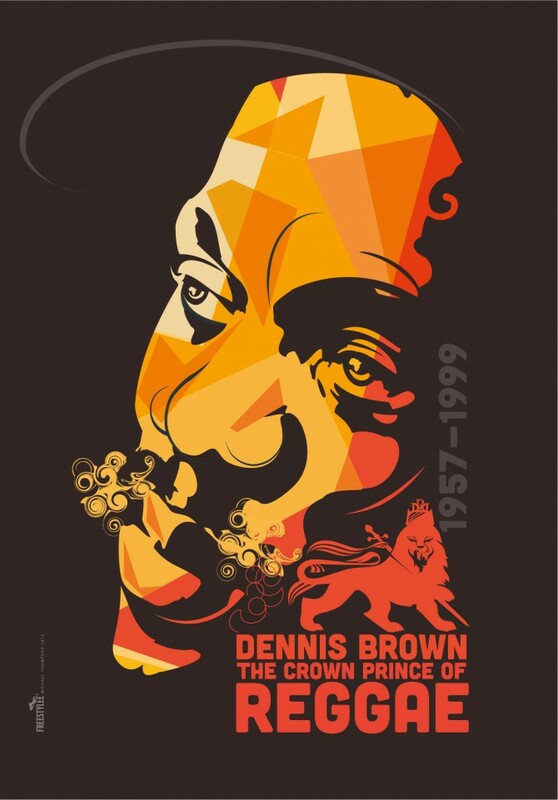 In the early 1980s, he landed an apprenticeship in Kingston, and started to experiment with simple, silhouetted design concepts suitable or screen printing and print poster art. Thompson has been living in the United States since 1990 and worked as a freelance graphic designer and consultant. He has been described as a “creative activist” in a recent interview in Arc The Magazine, due to the subject matter his work expresses; from reggae music, police brutality, homophobia in Jamaica, the Arab Spring and persecution of fellow artists such as Ai Wei Wei. 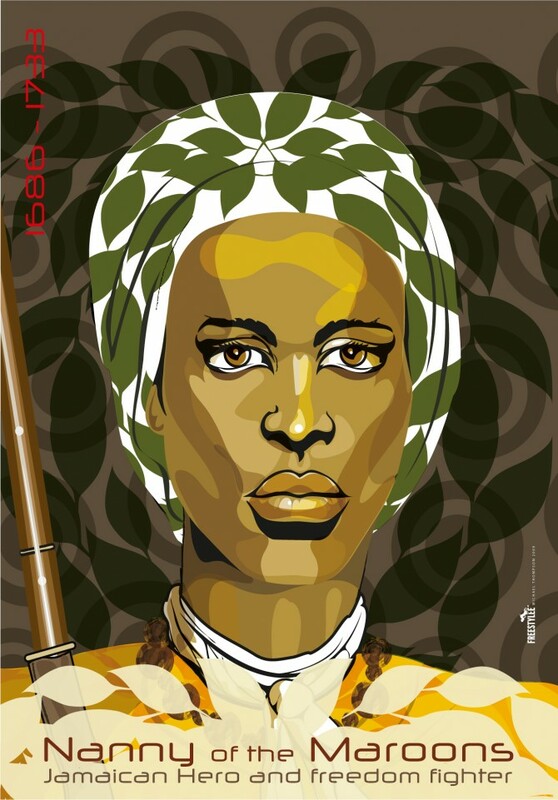 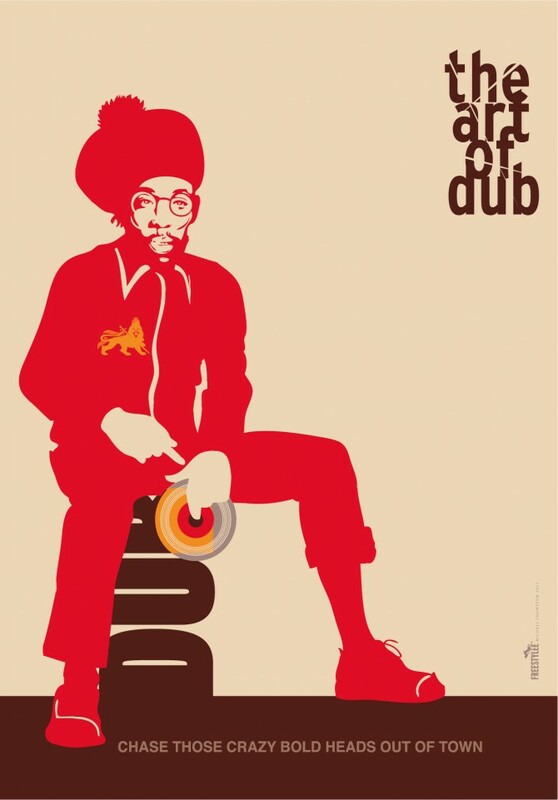 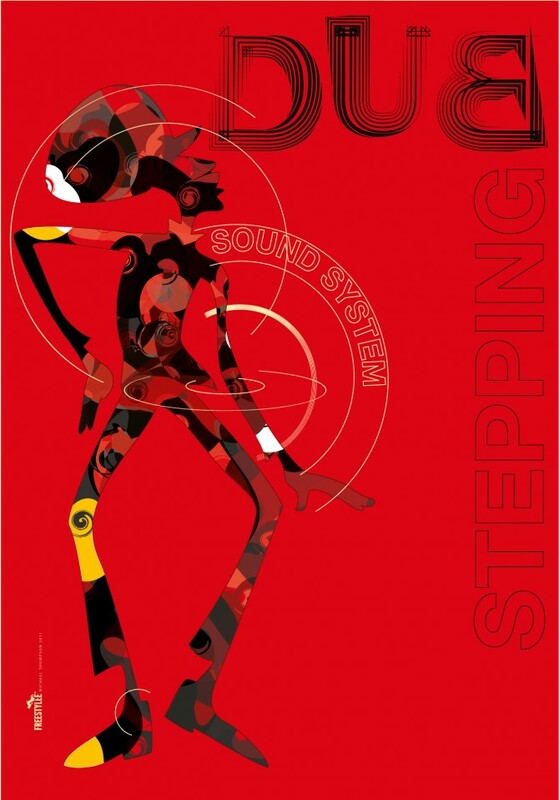 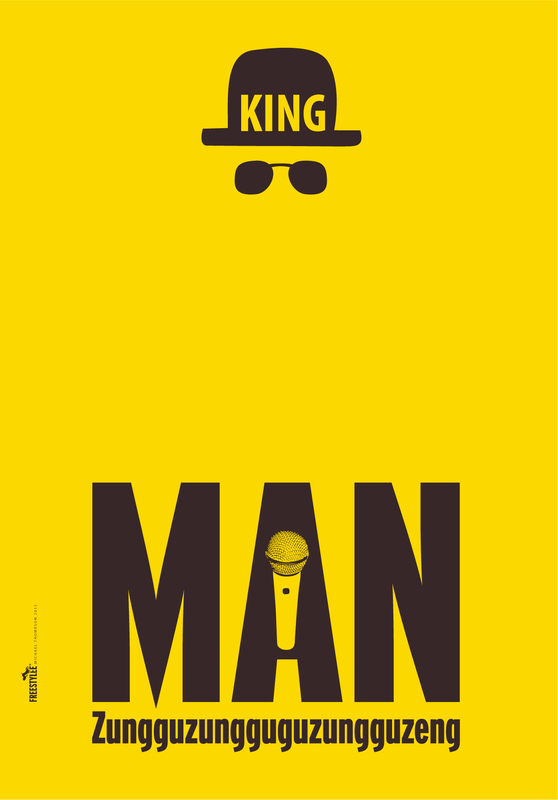 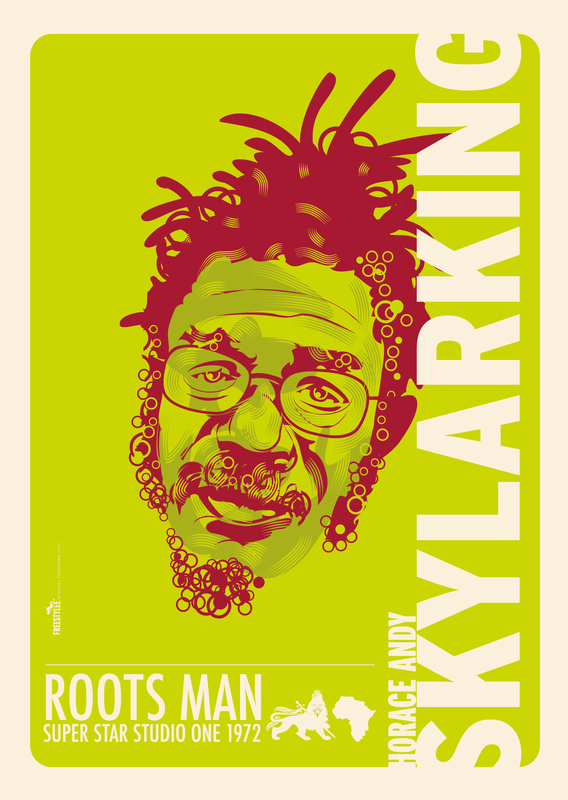 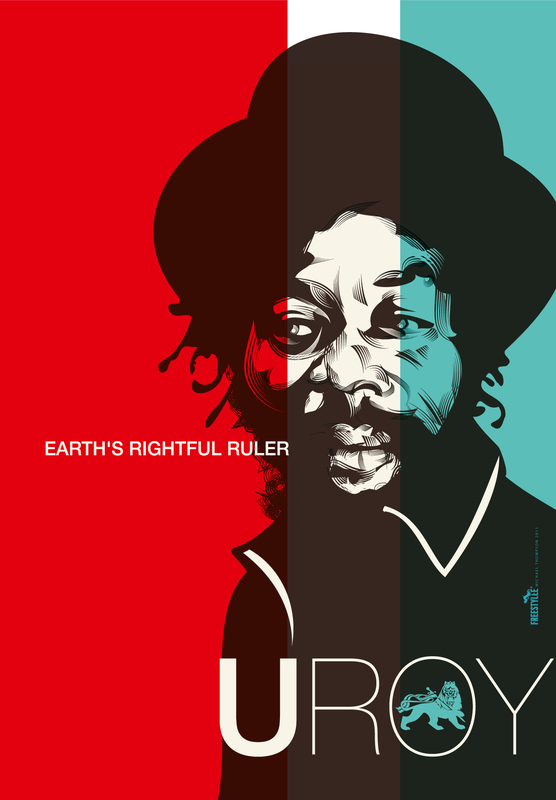 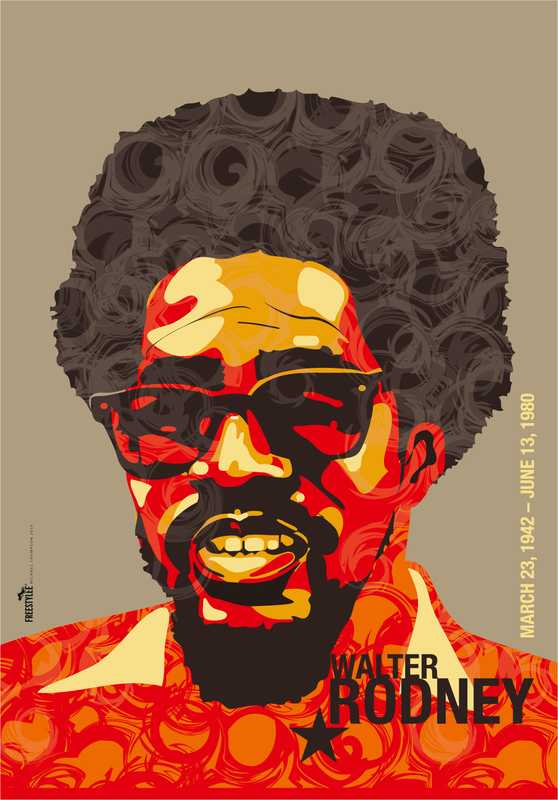 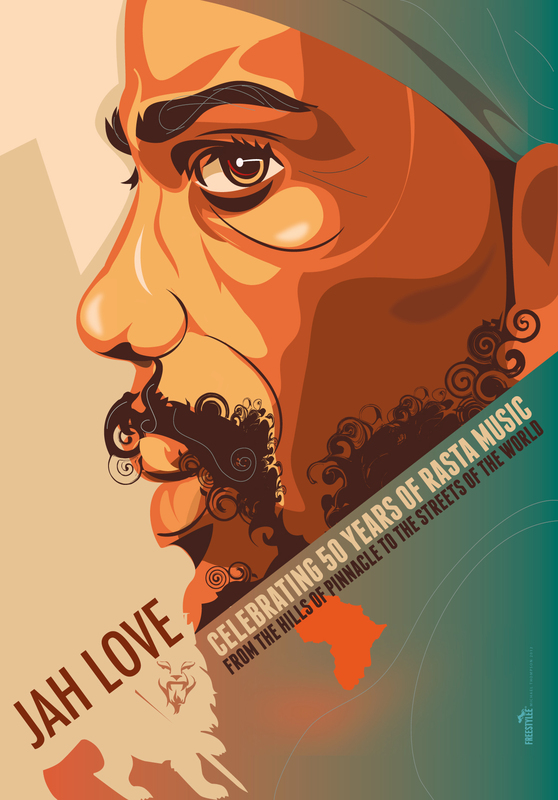 He launched the First International Reggae Poster Contest in order to celebrate the pioneers, musicians, artists and institutions that made Reggae music possible. 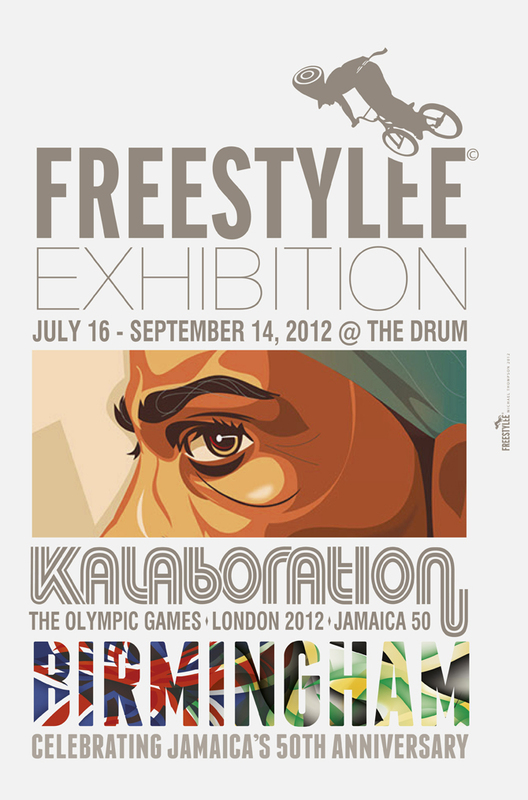 On Mon 16 Jul at 6pm Kalaboration will launch an exhibition at “The Drum” on Freestylee’s Reggae Poster Collection and will be on until Fri 14 Sep.